In Tokyo there are countless restaurants where you can sample exquisite Japanese and western-style food, including sushi, ramen, and local dishes. One food you definitely should try is wagyu beef. Today we'll introduce different wagyu beef restaurants suitable for solo diners, groups of friends, and also for those following halal dietary restrictions. Try this truly delicious beef just once and you'll become hooked to its great taste! Restaurants Ideal for One Person! Picture from Misono - A Yakiniku Shop In Ikebukuro Perfect For Solo Diners! 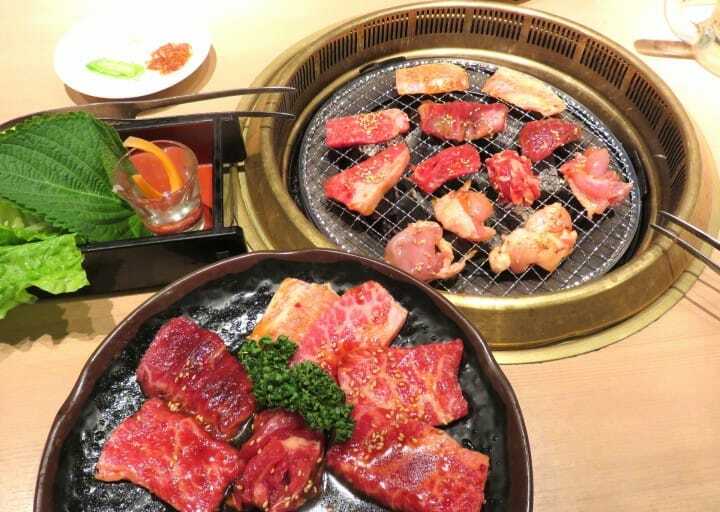 Misono is a yakiniku (grilled meat) restaurant geared for those eating alone. It uses A5 rank wagyu beef and customers can order their meat by the slice and choose from the 55 different cuts of beef. At a typical yakiniku shop, a set for one person usually consists of four or five pieces of the same cut of meat. This makes it difficult to try different kinds of meat if you are by yourself. But no worries! This yakiniku shop has solved that problem. Our recommendation is the moriawase (assorted meat) course, which costs 3,000 yen plus tax. This course features twelve different varieties of meat, allowing you to savor the taste of wagyu slice by slice. This is the perfect shop for diners wanting to sample various cuts of beef when dining solo. Access 2 minutes on foot from the west exit of Ikebukuro Station. 2. Jiromaru - Stand and Eat Grilled Meat in Shibuya! Picture from: Savor High Grade Wagyu Beef And Yakiniku At Jiromaru Shibuya! Jiromaru Shibuya is another yakiniku restaurant ideal for single diners. Here you can eat high-quality wagyu beef at reasonable prices. This is a stand while you eat (tachigui) establishment, with no chairs at the tables. We've been told that because of this dining style, customers stand close to each other and socialize naturally. Eat Delicious Wagyu Beef with Your Family Friends! At Han no Daidokoro, they offer carefully selected, special cuts of beef. In particular, they feature Yamagata gyu beef, which has a characteristically soft texture. The most popular menu item is the marbled Yamagata beef assortment set, which has a balance of different cuts of meat. The four-variety meat set costs 4,980 yen (plus tax), and the six-variety meat set is 6,980 yen (plus tax). There's also a unique item on the menu known as wagyu aburi nigiri. This is a slightly grilled beef slice placed over a clump of rice, resembling a piece of sushi. A two-piece beef sushi set is 800 yen (plus tax), and a two-piece marbled beef sushi set is 900 yen (plus tax). With a Japanese lantern hanging at its entrance, DOGEN is a yakiniku restaurant with the atmosphere of a Japanese pub (izakaya). This shop is famous for its grilled beef inner organs. Also popular is the Kuroge wagyu, with its delicious addictive flavor, as well as other varieties of beef that are served here. Also famous at DOGEN is a menu item called Apple, which is a grilled shoulder roast meat wrapped with thin strips of apple (one piece is 500 yen). If you have a chance to visit DOGEN we recommend ordering this. Access: 7 minutes on foot from the Hachiko exit of JR Shibuya Station. Sumiyakiya is a restaurant where customers can enjoy halal certified wagyu beef and domestically produced beef. The plates and dishes are labeled with a halal mark, so customers can rest assured that they won't mistakenly eat the wrong menu item. Alcohol and other off-limit ingredients are not used in the meat dipping sauces. Also, because the meat is flavored with fresh herbs and spices, it's said to be good for digestion and improving your immune system. So this is a shop that serves food using wholesome ingredients while keeping the customers' health in mind. Access: 6 minutes on foot from exit 1A of Roppongi Station (Tokyo Metro Hibiya Subway Line). Enjoy Great Wagyu Beef in Tokyo! Melt-in-your-mouth wagyu beef is a food that gives its diners pure bliss. One of the highlights of travel is indulging in delicious cuisine to be one of the highlights of their trip. How dropping in for a visit to one of these wagyu shops and creating some amazing food memories during your travel?